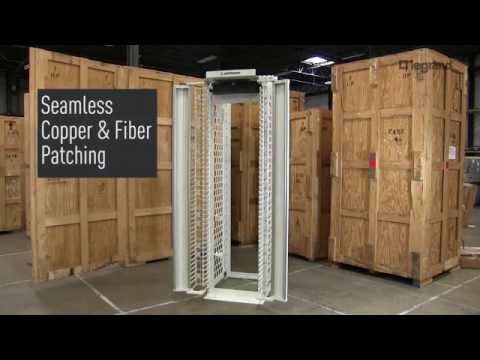 Ortronics offers a broad range of copper and fibre connectivity, racks and cabinets featuring flexible, efficient solutions united by superior design to ensure that your data centre or building network operates flawlessly. No one offers more ways to connect than Ortronics. Whether you need to run copper or fiber… for a LAN, SAN, or data center… with a distributed, centralized, or zoned architecture, Ortronics connects you to the people and resources that matter most. We understand the impact of structured cabling and physical support on networks, and design systems to ensure yours connect flawlessly. 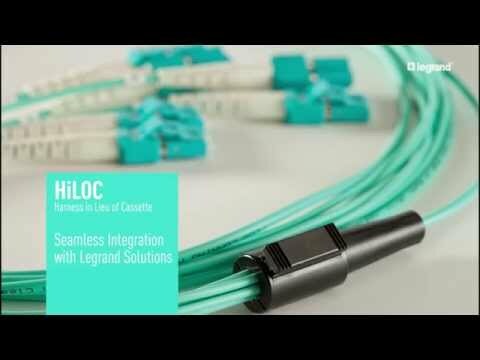 Advanced cable management systems for data centers and LAN applications. 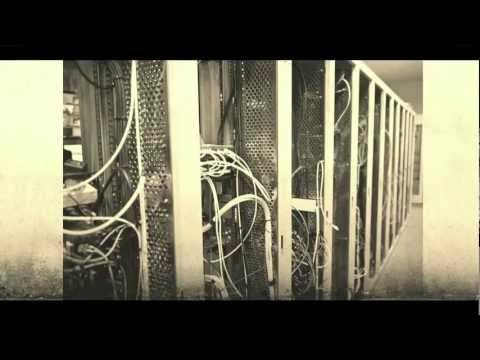 High performance network infrastructure products and solutions. Ortronics offers Clarity premium solutions for all of your copper connectivity needs. Clarity components are engineered to meet and surpass the most stringent industry requirements including TIA and IEEE. Its core technology makes Clarity the industry benchmark for elevated copper solutions. 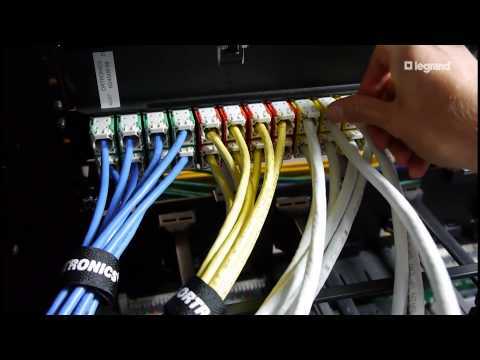 Ideal for data center, SAN or enterprise LAN applications, OptiMo fiber optic solutions support common, convenient approaches to fiber optic cabling. Modular optical cassettes provide a system that is simple to design, quick to install, highly reliable and error-proof. 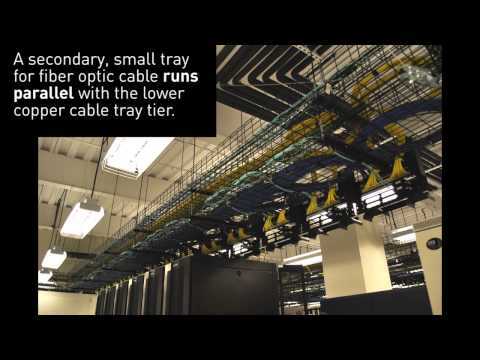 Mighty Mo are advanced cable management systems for data centers and LAN applications. The Mighty Mo® 10, the next generation of Ortronics advanced cable management system, is the first system to combine enhanced cable management with superior airflow in a rack. For efficient cooling, proper airflow must be maintained in the room, in underfloor and overhead plenums, and within the cable management rack. 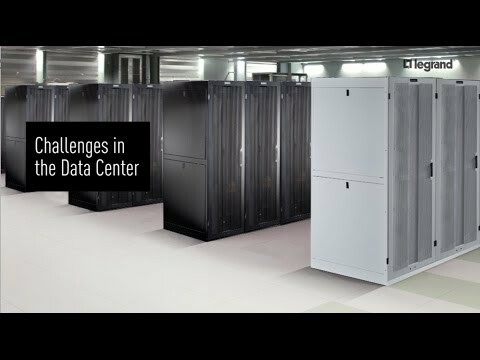 The preferred method of cooling in today’s data centers is the cold aisle/hot aisle approach. The Mighty Mo 10 is ideal for maintaining cold aisle/hot aisle airflow, whether your network equipment is front-to-back, bottom or side venting. The Mighty Mo 10 features honeycomb side rails and baffles that redirect airflow from side vented equipment from the cold aisle to the hot aisle. The perforated side rails allow ventilated air to be exhausted, while the baffles ensure the proper flow of air from cold aisle to hot aisle, even with side ventilation. This passive system eliminates the additional 15 to 20 W of power that typical fans consume, making for a more energy-efficient data center with reduced power consumption and energy costs. The Mighty Mo 10 and Might Mo 20 range are approved Cisco Marketplace Solutions. The Mighty Mo 10 is ideal for maintaining cold-aisle/hot aisle airflow, whether your network equipment is front-to-back, bottom or side venting. The Mighty Mo 10 features honeycomb side rails and baffles that redirect airflow from side vented equipment from the cold aisle to the hot aisle. The perforated side rails allow ventilated air to be exhausted, while the baffles ensure the proper flow of air from cold aisle to hot aisle, even with side ventilation. This passive system eliminates the additional 15 to 20 W of power that typical fans consume, making for a more energy-efficient data center with reduced power consumption and energy costs. 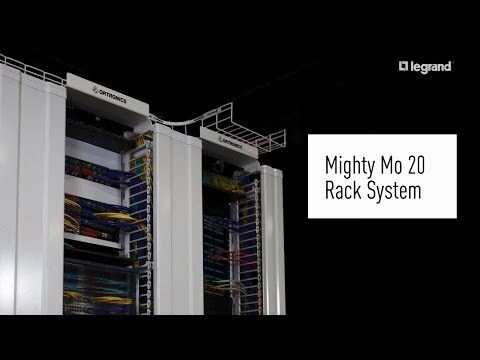 The Mighty Mo 20 rack system is a comprehensive solution that meets the needs of networks requiring greater flexibility, optimum efficiency and superior desigh. A well designed physical support infrastructure maximizes network performance by minimizing signal loss caused by improper cable support, guarantees the flexibility necessary for future technology and increases cooling efficiency through proper airflow management.